Are you looking for an excellent new dental provider you can trust? Wouldn’t it be great if the entire family could build a relationship with the same provider? Would you like to work with someone who’s experienced, yet stays on top of all the new technology and techniques? Would you like comprehensive dental care provided under one roof? Look no further than Dr. Joe Isaacson! Here’s why Joe Isaacson Dental is the Oklahoma City family dentist you can trust. We welcome patients of all ages to Joe Isaacson Dental. Dr. Isaacson has three children of his own, so he understands how important first dental visits are for your child’s future appointments. He also understands that it’s much more convenient and comfortable for families to see the same provider. 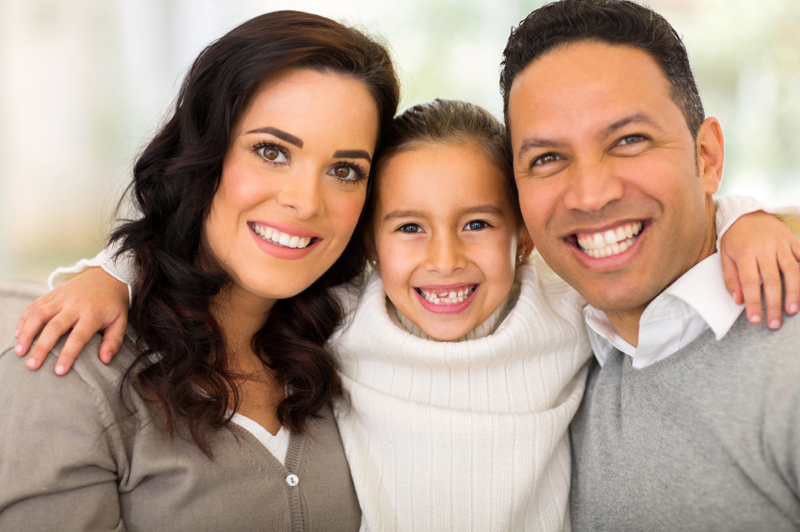 For these reasons, you’ll find an environment at Joe Isaacson Dental that the entire family will feel comfortable in, and we strive to build life-long relationships with each member of the family. Your family dentist in Oklahoma City understands that not every patient feels comfortable in the dental chair, and he wants to ensure that every patient has the opportunity to receive the care that they need. We offer options for dental sedation that help you to feel more at ease during your visits. Nitrous oxide helps take the edge off of most any type of procedure, while oral conscious sedation works well for patients with more severe anxiety, or multiple treatment procedures to complete at one time. Dr. Isaacson has nearly 25 years of experience in repairing teeth and restoring smiles. His extensive training allows him to offer comprehensive implant dentistry, which means that if you’re missing a tooth, he can deliver a dental implant from start to finish here at our office rather than referring you elsewhere for aspects of your care. If you’d like to enhance the appearance of your smile with cosmetic dentistry, Dr. Isaacson offers numerous options for cosmetic procedures. Whether your smile just needs a quick boost with whitening, you’re living with crooked teeth, or you need a complete smile makeover, Joe Isaacson Dental is well equipped to help you achieve the smile you’ve always dreamed of! We would love to meet your family, and we’re confident that our team delivers an exceptional experience that you’re not going to find at other dental practices. Give us a call today to schedule your next appointment and learn more about what we have to offer.